Leaves on the ground, a crisp chill in the air and Pumpkin Spice Lattes – Autumn is officially here! I’ve had a couple of things going on in my personal life, non-fitness related recently and have not really been able to share much about it until now! In the last few months I have been looking for a career change and began searching for jobs. I was offered a few interviews and at the start of October I accepted an offer, so I’ve got a new job! I’m going to be working as an Office Manager for a property company so that’s me officially leaving the hospitality industry after 6 long years; a move I’m absolutely ecstatic about. It’s a big step up, a new challenge and I’m really excited to take on more responsibility. I found the whole job hunting process pretty tedious so I’m glad that it’s all settled now. I began to lose my cool with finding jobs and then when it came to interviewing, I was stressed out and emotional. I sometimes have to remind myself to have a bit more faith in my abilities! I have been working my 4 week notice period and am now on my last week in my current job. I’ve been pretty busy putting everything in place for whoever replaces me and I’m quite ready to move on, but not before a wee break away! I save my holidays up every year for a 2 week break in October. Brandon and I decided not to go abroad this year and save money instead, so we’re hitting the Highlands. In just under a week, we’re heading up North to my family cottage in Bogart. You probably won’t have heard of it (not many people have) but it holds a very special place in my heart as it’s where we scattered my Dad’s ashes. I spent childhood summers there every year and I haven’t been back for around 10 years! I can’t wait to get out of the city and be in the middle of nowhere, immersed in nature and just chill! I won’t even need to bring make up – BLISS! We’ve made some plans to explore Scotland (weather permitting), make some new memories and visit all the places I used to go. So what else do I have to report? 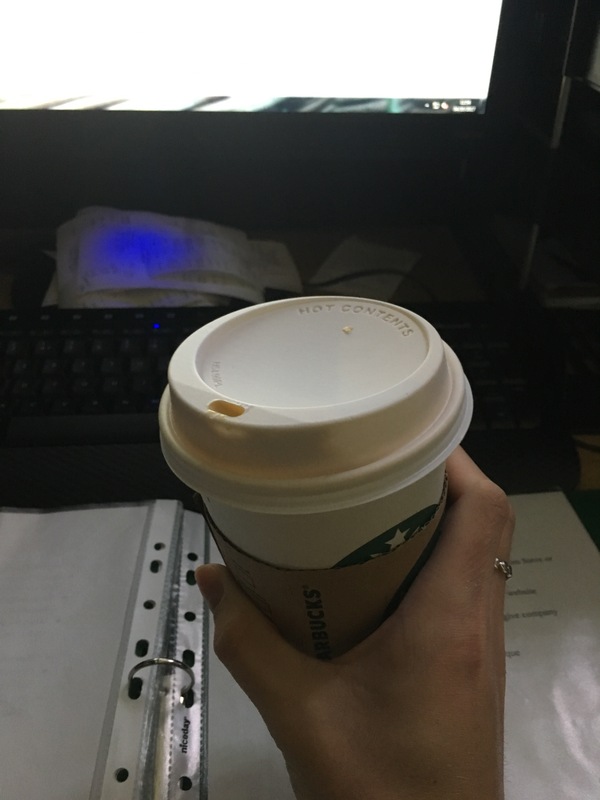 I tried my first Pumpkin Spice Latte from Starbucks. I don’t get flavoured lattes often as they are laden with sugar and calories, but I felt I had to at least know what all the fuss was about! Since my first one, I’ve also had another! They’re delicious! Maybe it was better when I didn’t know what I was missing out on. 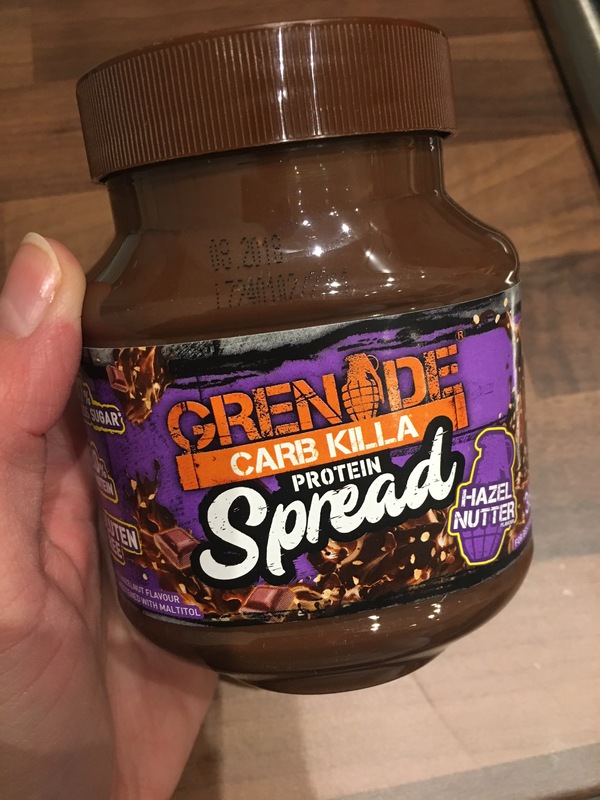 I also jumped on the Grenade Carb Killa Spread bandwagon and it did not disappoint! I managed to get my hands on the Hazel Nutter flavour online and then found the Milk Chocolate one in Holland and Barrett. I definitely prefer the Milk Chocolate one but they are both awesome – especially on Cinnamon and Raisin bagels! You’ll thank me later for that combination! Now, despite Storm Ophelia approaching Scotland, I’ve been back out running a little more simply because I’ve found it hard to get up in the mornings for my classes. Instead, I’ve been putting the new backpack I got for my birthday to good use and I’ve been running home from work. My route is around 3.35 miles so it’s been great to ease myself back into running a little. I fully intend to continue with my classes and strength training through the winter months but I have enjoyed pounding the pavements again! I’ll be back with another little life update soon! I hope you all have a great week!